The Simply Bar are a milk free, gluten free, low sugar, vegan protein bar. The bars contain more fiber than sugar, so they fill you up and keep you satisfied without all the empty calories. All of the bars are made with soy crisps so they are very easy to digest but they are a little crunchier then traditional granola so they take a little more work to chew. 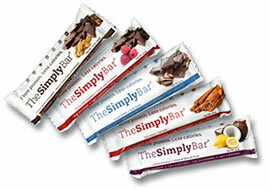 I had the privilege of sampling the various flavors of the simply bar and they were all very tasty... very tasty. I had a difficult time narrowing it down to my absolute favorite because I appreciated all of then for different reasons. However, two of them in particular really grabbed my attention. Those two were the Cocoa Coffee and the Lemon Coconut bars. The Cocoa Coffee bar is made with real organic coffee beans and it is absolutely delicious. It was as though I was eating chocolate covered coffee beans with soy crisps. 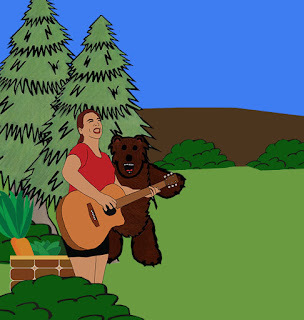 Oh, I could eat it buy the jarful... I was banned from chocolate covered coffee beans as a teenager. It was for my own good. True story. The Lemon Coconut surprised me and grabbed more than just my attention, it blew my mind. I am allergic to Tartrazine which is also known as Yellow #5 and disguised as Color on many product labels. A rule of thumb for me has always been if it is yellow, orange or green and has color on the label don't eat it. My allergies aren't severe but it does leave me uncomfortable and sometimes a little sick to my belly depending on how much I have ingested and how good my body is functioning that day. Over time I have learned to taste that chemical in my foods so you can imagine how I've conditioned myself overtime to be repulsed by the idea of eating anything with lemon in it. Except there are no chemical ingredients in these bars it was like eating a lemon meringue pie. I don't even normally like the taste of coconut all that well unless I'm in the mood for it but these large coconut shavings were so yummy. Disclaimer: I received various flavors of The Simply Bar to sample in exchange for my honest review. All opinions on this blog are my own.